Arsene Wenger has effectively ruled himself out of the running for the England job after claiming it is “very important” the Football Association appoint an Englishman. And the Frenchman has appeared to rule himself out of the running to succeed Sam Allardyce by claiming the Football Association must pick an Englishman as the next manager of the national team. Wenger also revealed there has been no contact from the Football Association to check on his availability and if he would be interested. It comes despite FA chief executive Martin Glenn saying Wenger would be the “perfect” fit but the Arsenal manager distancing himself from the role must be seen as a huge boost to Gareth Southgate’s prospects. Frenchman Wenger (66) whose current £8m-a-year contract expires this summer, says his priority is to stay at Arsenal. The FA has begun its search for a new manager after Allardyce was dismissed following a newspaper sting last month. Southgate has been placed in charge in an interim capacity and will lead out the Three Lions for their World cup qualifier against Malta today, but the FA are reportedly still keen on Wenger whom they approached before Allardyce was appointed as Roy Hodgson’s successor. “It’s very important (that it’s an Englishman),” Wenger said in an interview with beIN. “I’ve always said that England has a huge football passion and if tomorrow you have a game with France then it would be difficult (for me) not to sing the national anthem. “It’s logical. I thought they’d say I’m half English after being here for 20 years! It’s better to have an Englishman. “It would be difficult to manage another English club team. The national team is different. But my first priority has always been Arsenal.” Despite ruling himself out of England contention, Wenger’s long-term future remains far from certain. The 67-year-old’s current contract expires at the end of the season and Arsenal’s chief executive, Ivan Gazidis, on Thursday suggested the club were in no hurry to begin discussions over an extension. But Wenger has admitted he’s proud of his legacy with Arsenal and hopes the club continues to grow after his departure. Wenger is celebrating his 20th anniversary with the Gunners this season and is in the final year of his contract. The Frenchman has been linked with the England job following Allardyce’s departure and he initially admitted he could be keen before his latest interview with beIN. The 66-year-old is yet to sign a new deal at Arsenal and a number of names have been touted as his successor, including Bournemouth’s Eddie Howe and Borussia Dortmund’s Thomas Tuchel. And Wenger has admitted that when he does eventually walk away from the club he hopes his successor will continue to build on his legacy. 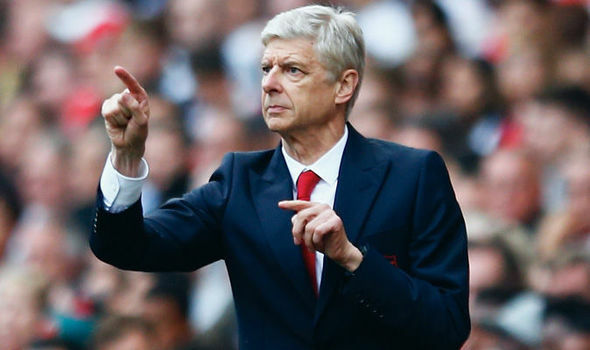 “I think I tried to be honest, committed and loyal during my career here,” Wenger said. Wenger has managed 1 130 games since he took charge of the Gunners in 1996, winning the Premier League on three occasions and the FA Cup six times. Arsenal chief executive Gazidis has hinted the 66-year-old could sign a new contract as part of a “mutual decision” between club and manager but did admit there was plans for the future. Gazidis says the club will deal with Wenger’s future “in our own way and in our own time.” Wenger’s contract expires at the end of this season, his 21st year with the club. The 66-year-old insists he still has the “passion” to guide the Gunners to silverware but has also been heavily linked with the England post. Speaking on the sidelines of a Vatican conference on faith and sport, Gazidis told the Associated Press “he’s been clear and we’ve always been clear, that’s a mutual decision as to how long he’ll continue”. — The Daily Express.